In today’s market, there are a lot of different ways to sell your home to a relative. As a Breckenridge Realtor, I have seen many creative methods that work well for both parties. The key is to get everything clearly spelled out in writing so that this transaction doesn’t get in the way of your relationship. That’s very important. So if you’re thinking of selling your home to a relative, read through your options carefully before you get too far down the path of offering your home up for sale and signing on the dotted line. Owner-financing is one of the simplest and least expensive ways to sell your property. This approach involves having your relative make monthly payments to you, not a lender. Arrangements can be made quickly while also saving your family member thousands of dollars in interest. However, there are certain things you need to keep in mind for your own protection. Be sure that the payments take into account your income needs. Also, arrange the agreement so that if your relative defaults, the home automatically returns to you. Then you can proceed to sell it on the open market. Owner-financing can be complicated so I would advise that you not take this step blindly. Reading through your options and consulting an attorney are essential steps, even if you’re trying to save money on the transaction. An experienced lawyer can write up the contract for the sale of your property, the promissory note and compile any other necessary paperwork. Filing a quitclaim deed means you are adding your family member’s name to the title of the home. This is a legal document that is designed to transfer ownership, claim, interest, right or title a person (“grantor”) may have in a property to somebody else (the “grantee”). 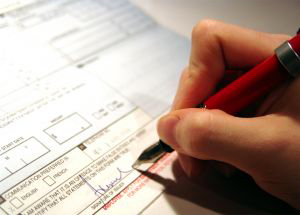 By signing a quitclaim document, you are agreeing to vacate any ownership of the home. In turn, the grantee on this form is also agreeing to accept any risk involved in this property such as the possibility that the grantor may not own the home or other people are named on the title. The main benefit of a quitclaim deed is that it ensures the grantor cannot later maintain any interest in the home. Again, if you have any questions about this process, don’t hesitate to contact an attorney. Getting sound legal advice and following Colorado’s laws for this kind of an agreement are essential during this process. Another option is to have your relative buy a 50 percent ownership in the home. Then you can arrange for your family member to pay you a monthly mortgage for half of the value of the property. With this method, the home will stay in the family while also providing you with some income. Each of these techniques is a legitimate way to sell your home to a relative. However, even though the procedures seem straightforward, it is in your best interest to speak with a realtor and an attorney so that your rights are always protected. I’m happy to help you find an approach that works well for you and your family. Feel free to get in touch so we can figure out the most suitable solution together. Want More Ideas on Selling Your Home to a Relative? The suggested ideas in this blog are just a sampling of different ways you can sell your property to a family member. If you would like other approaches, just give me a call. I’d love to assist you in any way I can. Also, if you’re looking for Breckenridge realtors to help you buy a home in Summit County, reach out and my team can put together some properties that might suit your tastes. You’re always welcome to browse through the updated listings on my website and when you’re ready to talk through your options or schedule showings, contact me at any time via email ([email protected]) or on my office line. I look forward to working with you!